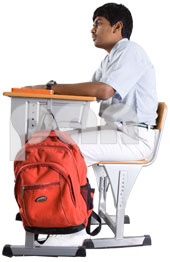 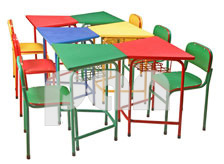 Over 400 schools all over India are using our range of Readymade School Classroom Furniture. 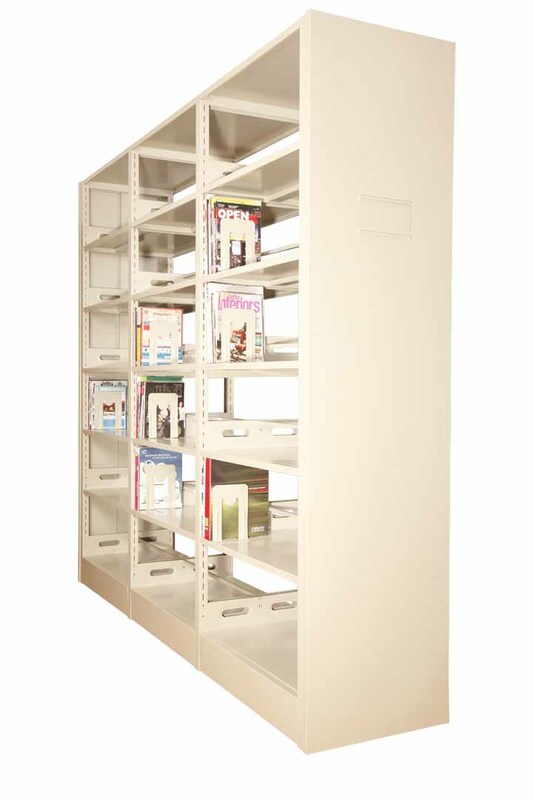 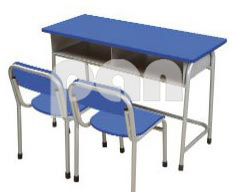 For Educational Institutions, we can courier you the detailed Catalogue and Quotation of our entire range of School Furniture. 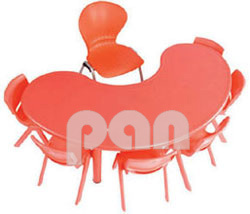 So please click here to fill the form with your complete contact details to enable us to send you the detailed catalogue and price list. 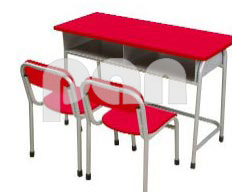 Teacher Table. 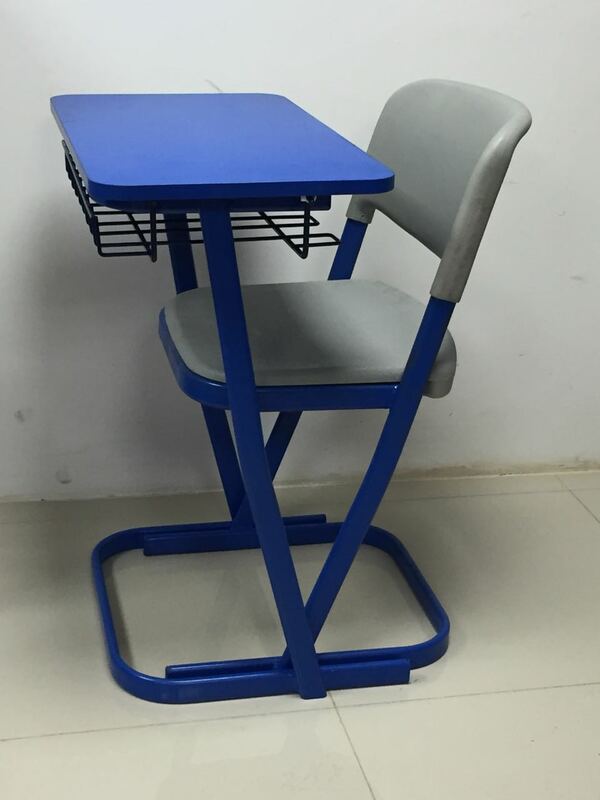 Size 900mm L x 500mm D x 750mm H.
Half Moon Table laid along with 6 Student Chairs Model YCX-001 and 1 Teachers Chair. 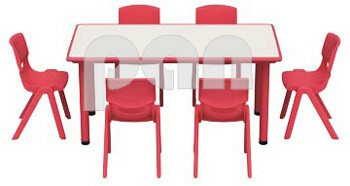 Shown above are Four Friends Series Rubberwood Kindergarten Furniture from PIN Furniture Thailand. 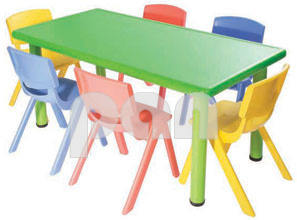 Click here for more Rubberwood Kindertgarten Furniture and Learning Toys..
Rectangular Table laid along with 6 Chairs Model YCX-001. 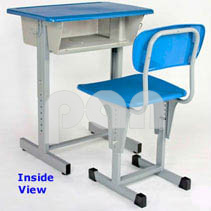 Height Adjustable Single Desk and Chair with Blue Colour Plastic Table Top, Chair Seat and Back. 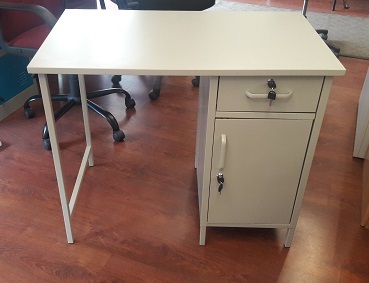 The Frame is Powder Coated Steel. 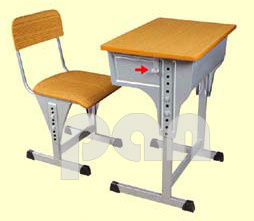 Ideal for Schools, Colleges, Educational Institutions. 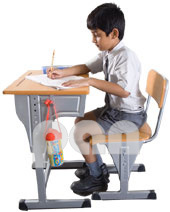 Suitable to Write with Chalk. 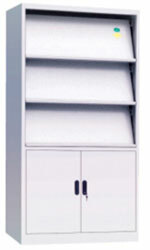 Sizes Available: 900mm x 1200mm ; 1200mm x 1800mm ; 1200 x 2400mm ; 1200mm x 3000mm. 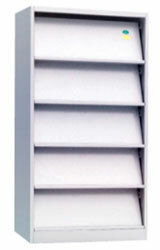 Can be mounted on Wall by the Customer. 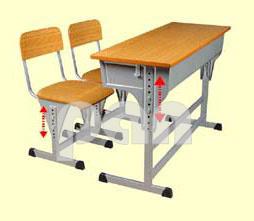 Stands Also Available. 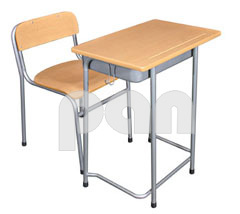 For Educational Institutions, We Can Courier you the Detailed Catalogue and Quotation of our Entire Range of Classroom Furniture. 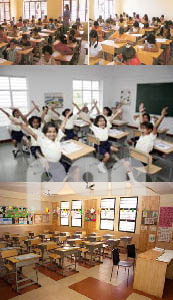 So Please click here for our Contact Details. 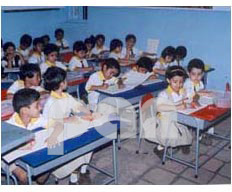 Fill and Submit the Contact Form which appears on the Page when you click here. 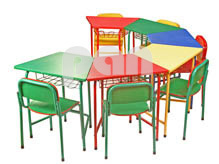 Click here for more Rubberwood Kindergarten Furniture and Learning Toys from Pin Toys..
A Youtube video of Pan Classroom Furniture in action in some of the educational institutions where we have supplied the same.